John D’Aquino brings his 30+ years experience back to Catapult with FOUR brand new workshops, each designed to challenge actors in ways he/she hasn’t been challenged before. On Saturday, February 9th, John teaches Adjusting Performance For The Camera, Raise The Stakes, + Nailing The Triplet. On Sunday, February 10th, John will introduce a new masterclass concept. Full details below. Camera awareness is a crucial aspect to an actor’s performance! In each camera frame, performance must be adjusted to suit the lens. Students will learn target zones for the master, the two-shot, the over the shoulder and the close-up framing. Is the actor performing too big for the camera? Students will learn by doing – shooting their scenes for camera as well as filming other actor’s scenes. Disney + Nickelodeon, the most popular kids networks, are looking for aspirational kids: kids that other kids want to be like. Additionally, they are looking for kids who can “make the turns!” Translation = kids who can misdirect the joke, or turn the 180. Each of those steps are critical. Jokes turn quickly, but most come in threes known as “the triplet”. The triplet includes the set up, the reinforcement and the misdirection. Students will learn how to build triplet jokes, deliver them in a scene, and identify them in their favorite sitcoms! John’s returning students will work in teams of four with the goal of learning how to maximize onset abilities. Actors will rehearse scenes that are previously memorized, design a shot list for the scene and operate 2 cameras to capture the performance. The class will review the individual shots in playback and analyze what was learned on both sides of the camera. This class is designed to inspire the actor in front of and behind the lens! John’s perspective from extensive experience on some of the biggest TV sets in the country (Seinfeld, Hannah Montana) is perfect practice ground for actors looking to learn the different components of a TV/Film set”. PREREQUISITE: a minimum of two classes taken with John previously required for students to take this course. Saturday sessions of the same weekend will qualify as classes. 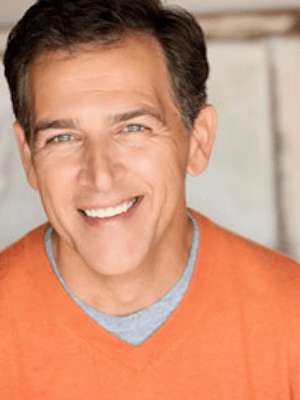 Veteran actor + master teacher John D’Aquino (Cory in the House, Shake it Up, CSI, Hannah Montana, Seinfeld) has starred in six TV series, recurred, + guest starred on dozens of hit TV shows in his 30 year career. His love for performing is surpassed only by his love for teaching, a love inspired by his mentor, teacher, + friend, Charles Nelson Riley, who instilled in his students a passion for helping actors create dynamic performances by reaching deep into the human spirit. John teaches classes & private sessions in his studio in Burbank. He offers career consultations to actors who want to create a blueprint for success, using accountability & goal setting as a framework. He holds seminars, workshops and summer camps, and travels the country teaching his proven acting + audition techniques sharing his passion for acting with young students and their parents.